New Bedford, Massachusetts served as the whaling capital of the United States during the mid 1800’s. Over 200 whaling ships called this port home, which led to the construction of a lighthouse on six acre Palmer Island which was positioned in the middle of the harbor. 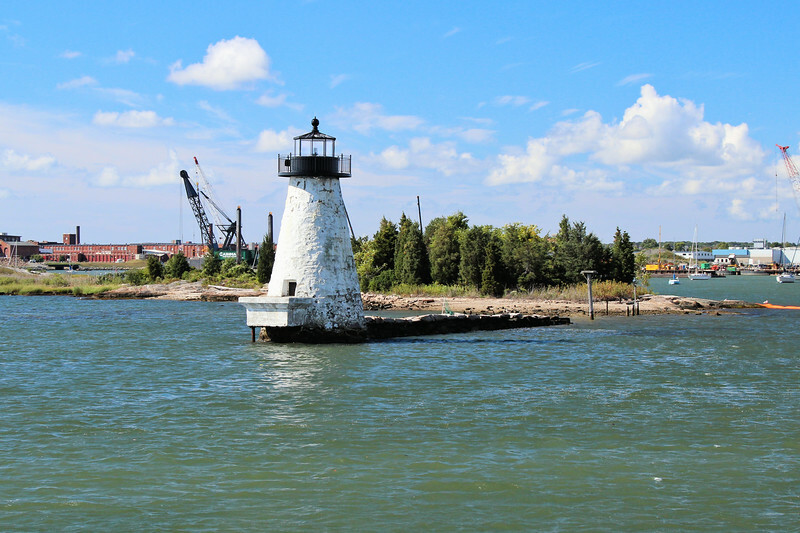 To aid commerce entering the Acushnet River en route to New Bedford harbor, the Lighthouse Establishment erected a 24 foot conical rubblestone tower with a white lantern on the northern tip of Palmer Island. The tower was designed and completed by architect Charles M. Pierce. It was first lighted by Keeper William Sherman on August 30, 1849.